I rarely go inside Forever 21, mostly because I haven't found that many pieces I liked in the past, but also because it's sometimes too cluttered for my busy head. Fortunately, when I was in New York my friend wanted to go in there and I found this stunning blouse. The fabric is see-through but the lovely flower print makes it more subtle and elegant (it looks beautiful if you wear a bralette underneath). I'm also a big fan of the frilled sleeves. It's my best find of the month. You probably don't know this but I have a thing for Scandinavian music. For some reason I think a song in Swedish or Norwegian sounds so good. My friend introduced me to this band called Mares and I've been loving their songs! My favourites have to be "Höga klackar" (High heels) and "Cyklar ni så springer jag" (If you ride a bike I'll run). The style is alternative. 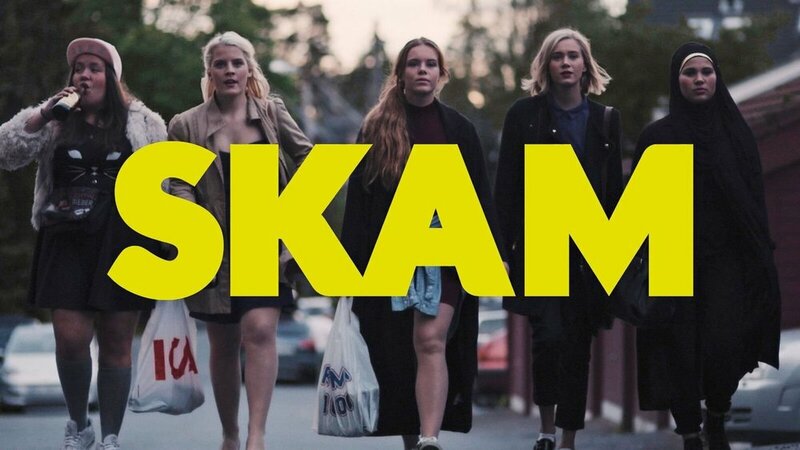 To continue with the Scandinavian theme, I've been totally sucked in the Norwegian TV series called "Skam". This show is about high school students in a rich neighbourhood of Oslo and it discusses difficult subjects like love, shame, religion, anorexia or sexual assault in such a honest and realistic way. What I love the most about this show is the fashion, but also how real the struggles are and of course, the music! **By the way my blog turned 7 years old last week. I wanted to thank all of you for reading it!